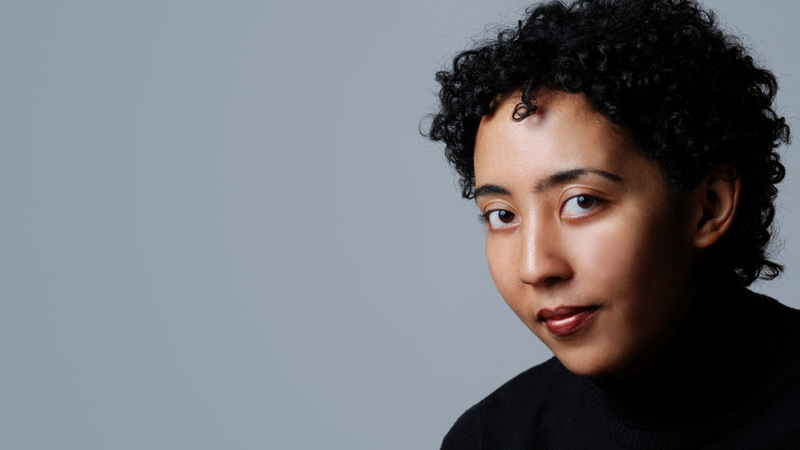 Namwali Serpell is a writer, professor, and critic from Zambia whose literary debut, The Old Drift, is one of the most highly-anticipated releases of 2019. An experienced speaker, Serpell illuminates the particulars of the craft of writing while addressing the ways she is influenced by history, literature, and culture. 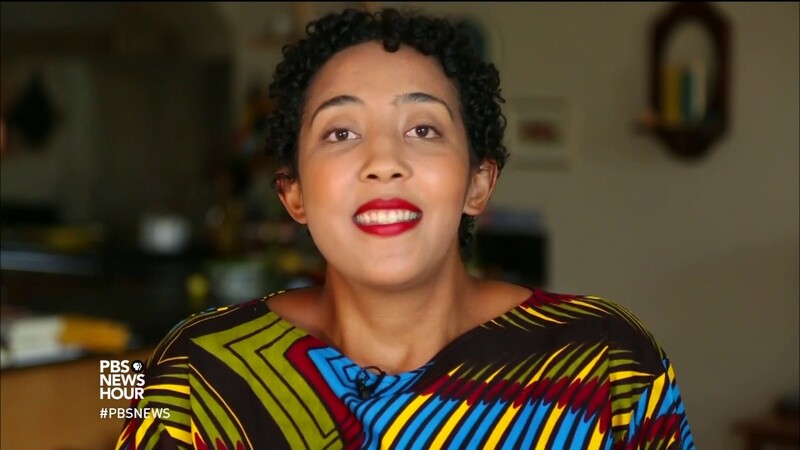 Namwali Serpell is a Zambian writer and scholar whose debut novel, The Old Drift, has garnered comparisons to Gabriel García Márquez and Toni Morrison for its ambition, sense of magic, and literary adventurousness. Combining a family saga with breathtaking writing and elements of science fiction, fantasy, and more, Serpell is poised to become a new defining voice in the global literary landscape. Her talks take a closer look at Serpell’s process and inspiration, from genre fiction to philosophy to pop culture. 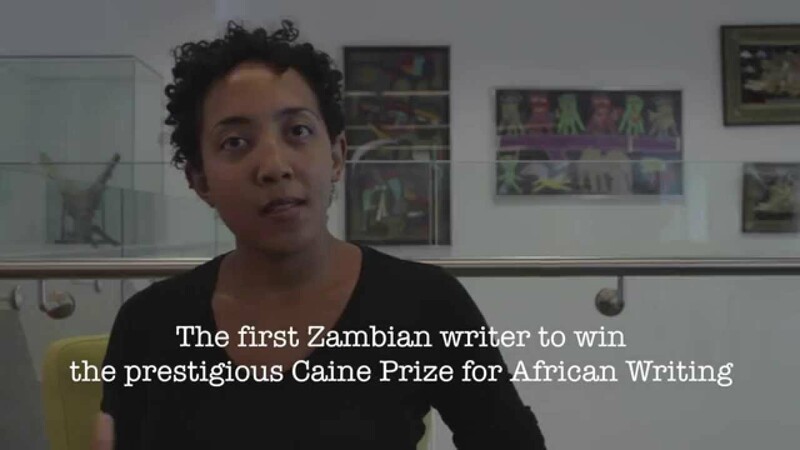 Serpell received the 2015 Caine Prize for African writing, making her the first writer from Zambia to do so. Her prize-winning short fiction has been published in literary outlets like The Best American Short Stories, Tin House, and McSweeney’s. 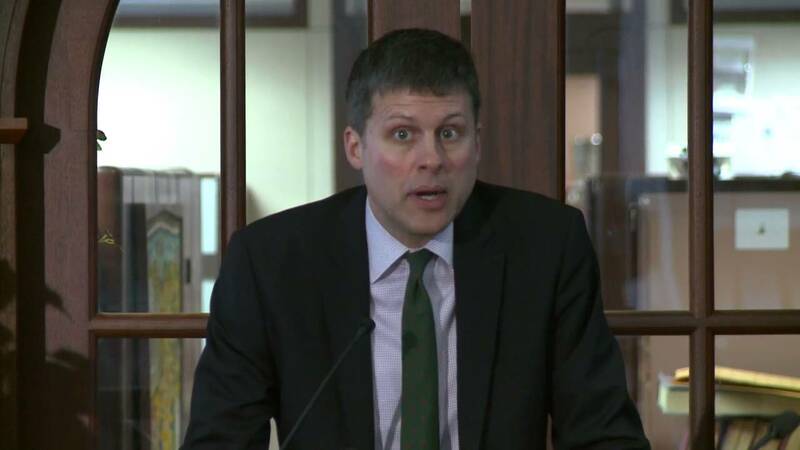 Serpell is also a prolific author of essays and reviews in outlets including The New Yorker, The New York Review of Books, and The Guardian. Serpell’s articles comment on science fiction, gender, the depiction of Africa in American popular culture, as well as stories from Zambian history that may not be widely known, all of which have informed her fiction. Currently, Serpell is an Associate Professor in the English department at the University of California, Berkeley, where she researches and teaches classes on contemporary fiction. She lives in San Francisco. On the banks of the Zambezi River, a few miles from the majestic Victoria Falls, there was once a colonial settlement called the Old Drift. Serpell's debut novel begins there with a British man who, feverish with malaria, makes a mistake that entangles his fate with those of an Italian hotelier and a Tonga busboy, setting off a cycle of unwitting retribution between their three families that drifts across the world, over generations, and into a sci-fi future. This talk focuses on how Serpell entwined fiction with history, science, and philosophy in her exploration of error—of how the human tendency to swerve, deviate, and drift is not just inevitable but also a profound source of creativity. "Find your voice": this is perhaps the most common piece of advice that aspiring writers hear. In this craft talk, Serpell begins with the assumption that fiction writing is in fact not about self-expression, but about honing your skills as a ventriloquist, about learning to pitch your voice to several tonalities and throw it in many directions. Audience members will discover what voice they each tend toward—what their default mode of expression is—then practice stretching that in different ways. Where does the "Afro-" in Afrofuturism come from? From "African"? Or from "African-American"? Using her experience as a Zambian immigrant to the United States, and her knowledge as a teacher and writer of fiction, Serpell discusses the origins, aesthetics, and politics of black science fiction, from well-known figures like Sun Ra to obscure ones like Edward Mukuka Nkoloso, a freedom fighter who launched a Zambian Space Program in the sixties. In 2015, the Oxford English Dictionary declared an unusual Word of The Year: the Face with Tears of Joy emoji. Once thought to be the purview of tech-obsessed teens, emoji is now ubiquitous. This talk traces the various historical threads—of pictograms, punctuation, phone technology—that came together to bring about this new form of communication. Serpell examines how emoji works in our everyday lives and in recent poetry, novels, and paintings as a way to express feeling and artistic play. The Old Drift is an extraordinary meditation on identity, the history of a nation, love, politics, family, friendship, and life. Serpell’s prose is dazzling. Darting back and forth through the decades and mixing different genres, Serpell has delivered an original, remarkable, magical work that both delights and challenges. If, as she writes, ‘history is the annals of the bully on the playground,’ then in The Old Drift, Namwali Serpell wreaks havoc on the Zambian annals by rewriting the past, creating a new present, and conjuring an alternative future. In refusing to be bound by genre, Serpell is audacious and shrewd. This is a Zambian history of pain and exploitation, trial and error, and hope and triumph. The Old Drift is a dazzling genre-bender of a novel, an astonishing historical and futuristic feat, a page-turner with a plot that consistently and cleverly upends itself. Playfully poetic and outright serious at once, it is one of the most intelligent debuts I’ve read this year. No matter your reading preference, there’s something in it for you. It’s difficult to think of another novel that is at once so sweepingly ambitious and so intricately patterned, delivering the pleasures of saga and poetry in equal measure. The Old Drift is an endlessly innovative, voraciously brilliant book, and Namwali Serpell is among the most distinctive and exciting writers to emerge in years. An astonishing novel, a riot for the senses, filled with the music and scents and sensations of Zambia. Namwali Serpell writes about people, land, and longing with such compassionate humor and precision there’s an old wisdom in these pages. In short, make room on your shelf next to a few of your other favorites: Chimamanda Ngozi Adichie, Tsitsi Dangarembga, and Edwidge Danticat jump to mind. It’s brilliant. This woman was born to write! In turns charming, heartbreaking, and breathtaking, The Old Drift is a staggeringly ambitious, genre-busting multigenerational saga with moxie for days. . . . I wanted it to go on forever. A worthy heir to Gabriel García Márquez’s One Hundred Years of Solitude. It’s hard to believe this is a debut, so assured is its language, so ambitious its reach, and yet The Old Drift is indeed Namwali Serpell’s first novel, and it signifies a great new voice in fiction. Feeling at once ancient and futuristic, The Old Drift is a genre-defying riotous work that spins a startling new creation myth for the African nation of Zambia…Serpell’s voice is lucid and brilliant, and it’s one we can’t wait to read more of in years to come. Three multicultural families’ pasts and presents, told by a swarming chorus of voices, culminate in a tale as mysterious as it is timeless…This stunning cross-genre debut draws on Zambian history and…reinforces the far-flung exploration of humanity. Comparisons with Gabriel García Márquez are inevitable and likely warranted. But this novel’s generous spirit, sensory richness, and visionary heft make it almost unique among magical realist epics. “In this smartly composed epic, magical realism and science fiction interweave with authentic history, and the ‘colour bar,’ the importance of female education, and the consequences of technological change figure strongly. It’s also a unique immigration story showing how people from elsewhere are enfolded into the country’s fabric… Serpell’s novel is absorbing, occasionally strange, and entrenched in Zambian culture—in all, an unforgettable original. Recalling the work of Toni Morrison and Gabriel García Márquez as a sometimes magical, sometimes horrifically real portrait of a place, Serpell’s novel goes into the future of the 2020s, when the various plot threads come together in a startling conclusion. Intricately imagined, brilliantly constructed, and staggering in its scope, this is an astonishing novel.